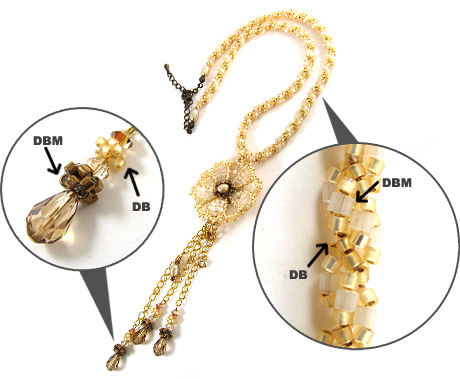 The feature of DBS, very fine and uniformed shape, finds beads works more beautiful and artistic as sophisticated arts. Fringes which was made by DBS swing smoothly just like a silk thread. 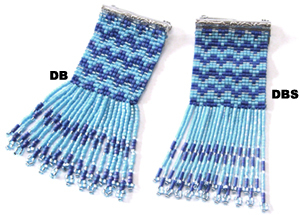 Weaving with using the same pattern makes this difference because of their character. 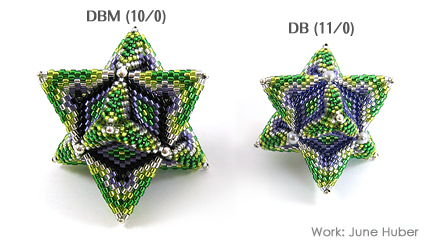 The size of DBS is small as 15/0, so it has made possible minutely bead designs. We invite you to try exciting new beads. We hope they inspire you to even greater heights of creativity! Please take a look at DBS sample card PDF. 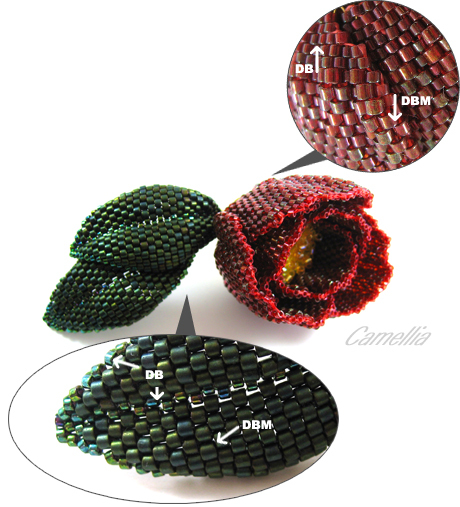 More information of Delica Bead? Click here to look. 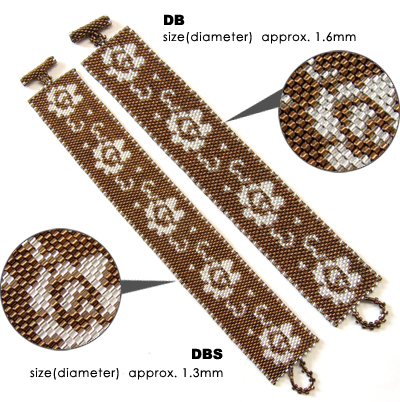 Combination with Delica Bead(DB) and Delica Bead size M(DBM) helps creativity work. 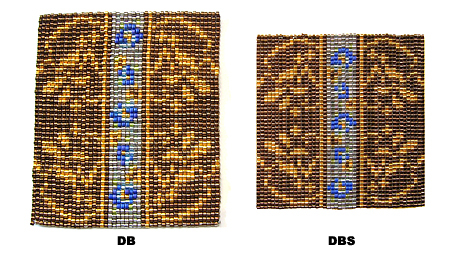 The veins of a leaf is created by Delica Bead, and Leaf is done by Delica Bead size M.
This is the size comparison of Delica Bead(DB) and Delica Bead size M(DBM). 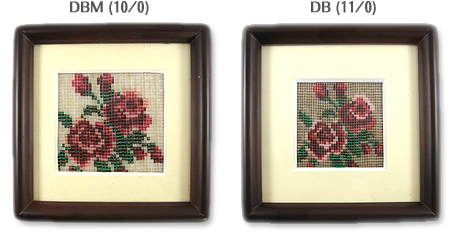 These works are done by the same patterns but finished size is different. If you have plan to make a big work, Delica Bead size M is very helpful. This work uses only Delica Bead size M. Using size M can make your work gorgeous, also it will take less time to create because of its bigger hole and size. This spiral rope was created by both size of Delica Bead to create gorgeous line. Please take a look at DBM sample card PDF.